This couple both live and spend a lot of time in the Byward market in Ottawa; so it was the natural place to take their engagement photos. 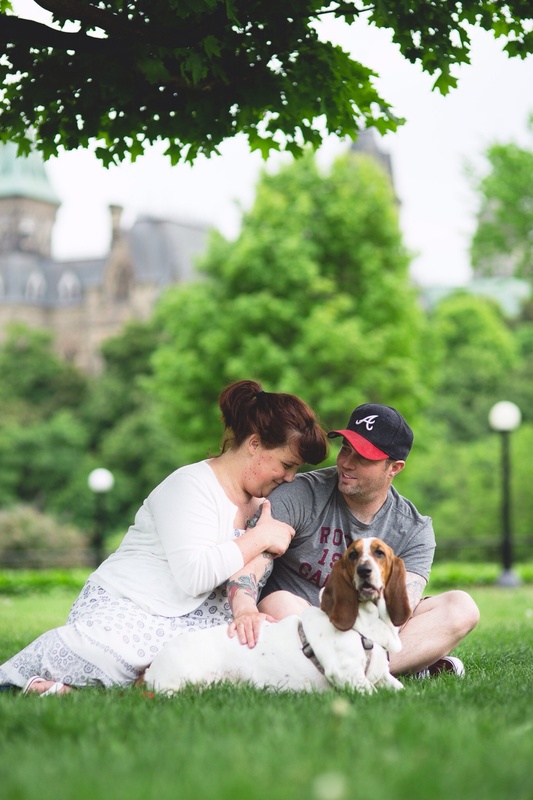 This session was also featured on the Ottawa Wedding Magazine website. We also got to spend some time with their lovely dog Molly. Molly was super cooperative during the shoot and did a pretty good job of ignoring her nose. Everyone loves Molly and apparently everyone knows her too so it is common for people to stop her on her walk and say hi. We are looking forward to shooting this wedding in the fall. By the sounds of it it's going to be a blast.